“In India, ‘fashionably late’ is safely replaced with ‘predictably late’. Cow blockades, politician escorts, and cratered roads, compound the problem and offer a valid excuse. So when you reach half-an-hour after the appointed time, you don’t explain yourself. You wait for the other person to arrive. We used this life insight, and added some dark humour to it. We simply added a suffix to time periods. And moved the numerals from their classic perpendicular positions, tilting them to an approximate point on the dial. Hence six was not six. 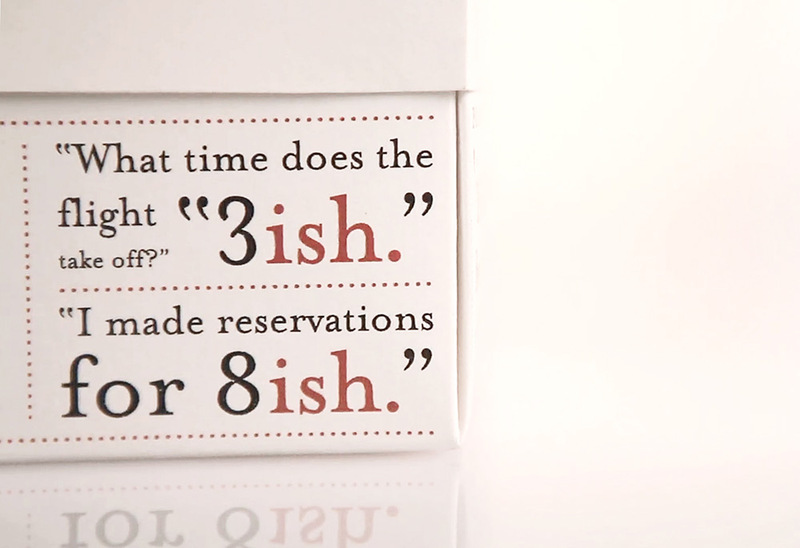 Eight was not eight. 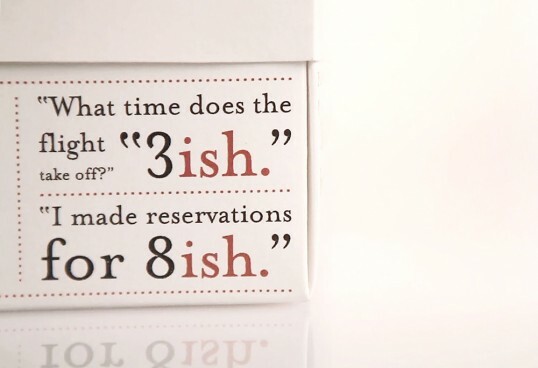 It was ‘six-ish’ and ‘eight-ish’. 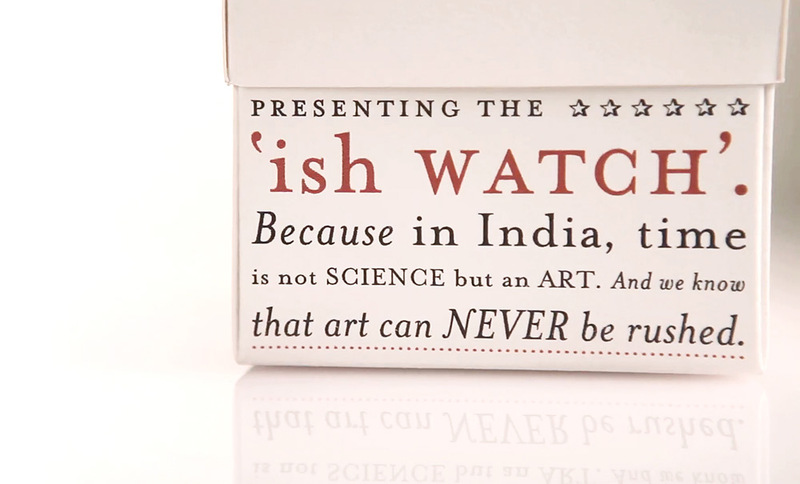 Thus was born the ‘ish Watch’. Where can I buy one of the ‘ish’ watches? Saw this on PoW, a link to the store would be of great help! Or post where this watch can be purchased. I llke this watch!! price?? Where can I purchase this watch. How do I go about purchasing this watch? Also, what are the specs, mm, are there any other strap colors? where can i buy this watch???? what is the cost? How/where do you purchase this watch, I LOVE IT!!! 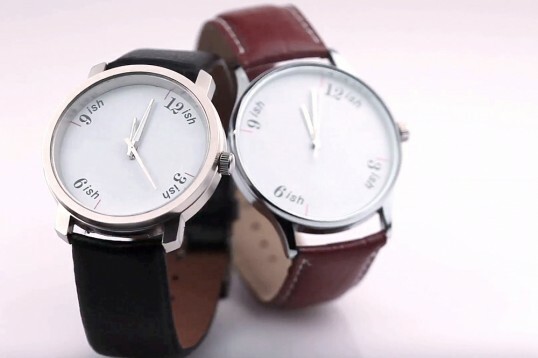 How can I purchase one of this “ish watch”? Where can i purchase it, is there any design ? What does it cost ? Ok this isn’t funny anymore.. where can anyone purchase this watch? My interest is starting to decrease as times goes on. 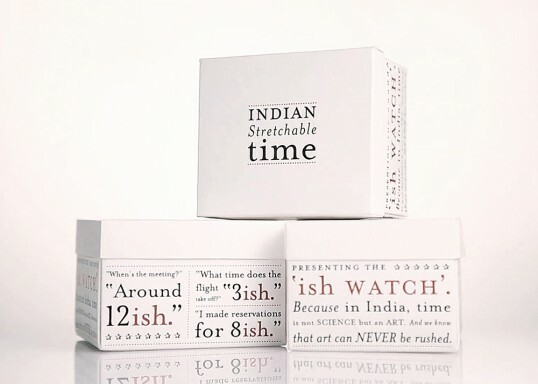 Apparently these were designed for Filter, an indian store, but since the store doesn’t seem to have an online shop yet on their main page, they are selling them here http://www.facebook.com/Filtershop , on their facebook page. 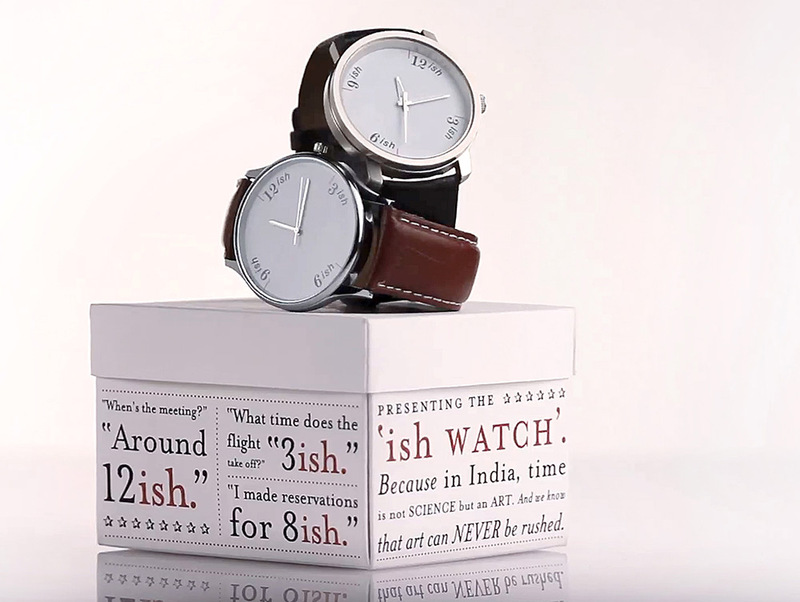 The watch can be shipped to you if you just drop in a one line email to info@filtershop.in and state your country and how many you need. They will guide you on the next steps. I need one ish watch. How much is it? I am in New York, United States. I found out about the watch on FaceBook (really! ), so I bought one. It arrived in time for Christmas. Nice looking, well finished. A really lovely thing… highly recommended! 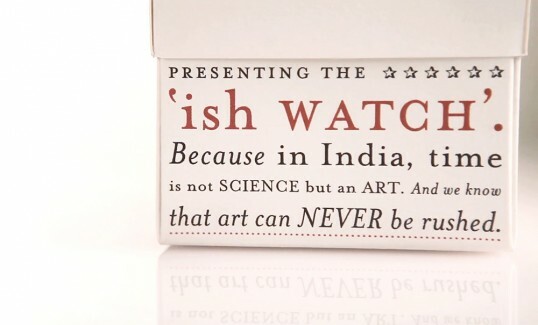 I loved the concept and saw it at “Filter” a shop in fort, mumbai. but the finishing of bezel, the leather and detailing was disappointing. also there was no warranty on it, seeme like a random idea executed hurriedly.